Chrichton's World: Review Kill Zone a.k.a. 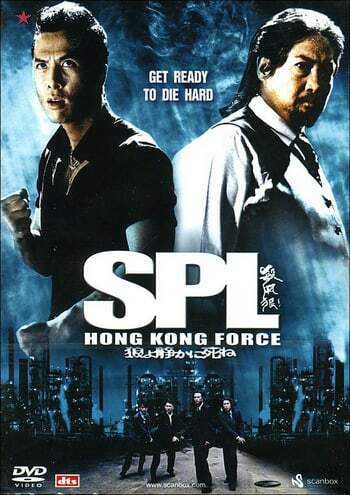 SPL: Sha po lang (2005): I hate to say it but this is mediocre! Review Kill Zone a.k.a. SPL: Sha po lang (2005): I hate to say it but this is mediocre! Sometimes you wonder how a film that is less than remarkable still manages to gain such praise and popularity. Granted there are some factors that could make you overlook some major flaws. However that doesn't negate the fact that SPL is pretty mediocre. So do I really think this ia a bad film? No. It's not bad. But there is very little to no story and even less character development. Normally this wouldn't be that much of an issue had the story given us the action you normally expect in a Donnie Yen film. There are two proper fights and they hardly last. They are good for sure but worth the wait? Not by a long shot. I am kind of perplexed what the aim was. SPL has a very minimalistic approach to everything except the melodrama. It's too heavy handed and bleak. I would have appreciated this if the film actually would have bothered to give us strong characters and a story that was actually compelling. It's pretty generic stuff with the usual cops versus robbers shenanigans. They couldn't even be bothered to make Sammo Hung truly villainous. He is pretty tame. Wu Jing's special appearance as the hired gun was easily far more evil. To make matters worse the characters we are supposed to root for hardly are good guys themselves. If not for the melodrama and good acting I would have no sympathy for them at all. Some are their actions are very questionable. But it is asked of you to not make a big deal of it since their end goal is a noble one. Well, I was very willing since Simon Yam, Donnie Yen, Sammo Hung and Wu Jing do give this production that something special that gives you the illusion it's worth your time. To me it seems that this film was one big test run for Flash Point. Because they are very similar in tone and atmosphere. Only the story, characterization and action are superior in every way. The official sequel Sha po lang 2 also is a better film than the original. Since next to the dramatic elements it never forgets to deliver the action and spectacle. 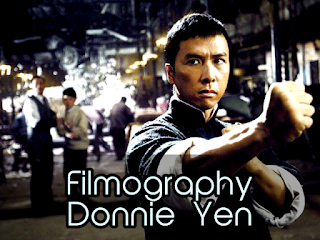 And let's face it that is why you watch Donnie Yen films in the first place. Overall SPL is very disappointing if you were hoping for an action extravaganza. As triad drama it also is far too lacking to keep things compelling.